Bergland has a criminal record and lives in a San Francisco supportive housing complex for formerly homeless people. The slashing victim and a witness chased the attacker, only to back off after the sword-wielding man "turned and began advancing toward them," according to police. 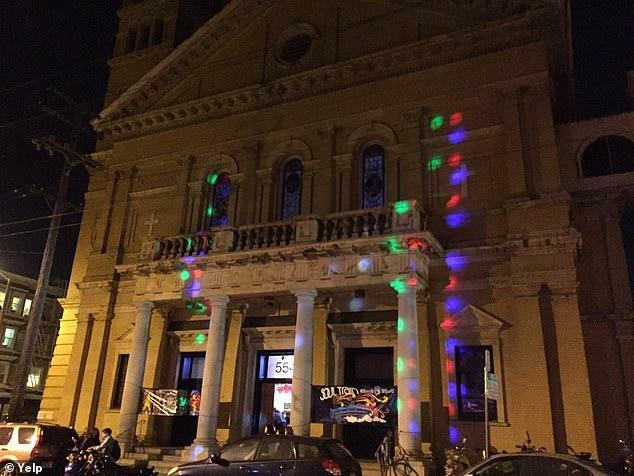 Bergland and a 27-year-old resident of Berkeley, California, encountered each other outside of the popular Church of 8 Wheels, a roller-skating rink inside an old church in San Francisco's Fillmore district, police said. Bergland drew a sword and slashed the victim's hand after the victim knocked Bergland's hat bearing President Donald Trump's campaign slogan to the ground, police said. Bergland's bail is set at $1 million according to jail records. The slashing victim was treated at a local hospital and released. According to public records, Bergland - who appears to be homeless, has a history of arrests in Oregon; including a 2012 charge for criminal mischief, unlawful entry into a motor vehicle, and theft. 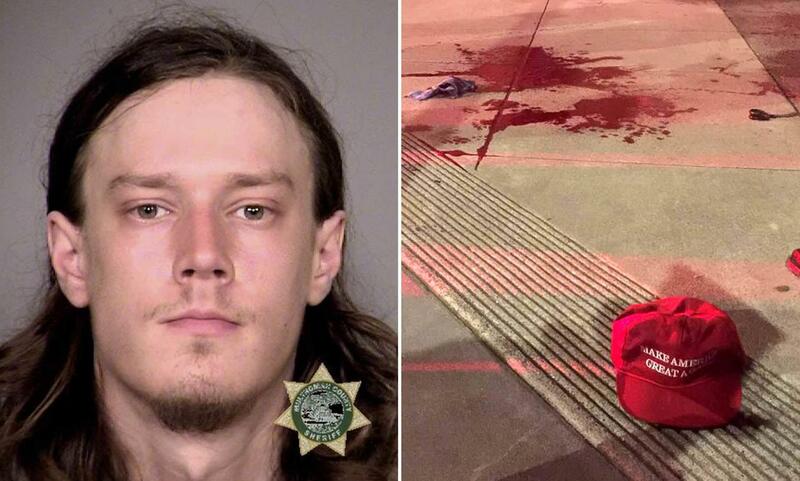 The events started on Oct. 13, 2012, shortly before midnight, when a man went to unlock his van on a Portland street and found Bergland hunched over in the backseat, Multnomah County District Attorney’s Office spokesman Brent Weisberg said. The man removed Bergland from the van, threw him to the ground and held him down. Bergland pulled a knife from his pants pocket, opened the blade and waved it at the man, Weisberg said. Passersby separated the pair and the knife from Bergland and held him until police arrived, Weisberg said. Passerby Scott Sweeny told the San Francisco Chronicle that he was nearby where the attack took place around 30 minutes before the incident, and saw a man in a MAGA hat walking around with a sword tucked into the back of his jacket. The man, presumably Bergland, was shouting homophobic slurs at Sweeny. "In my mind, I didn't think it was a real sword until we came out later and police were on the scene and there was blood and the hat on ground," Sweeny added. Roller rink manager David Miles didn't witness the attack but ran out to help the injured man. Officers reportedly asked Miles if a man dressed as a pirate had come into the roller rink. "The guy was cut, he was bleeding like you wouldn’t believe," said Miles. "He was just gushing blood, so we got the first-aid kit from inside and tried to stop the bleeding." 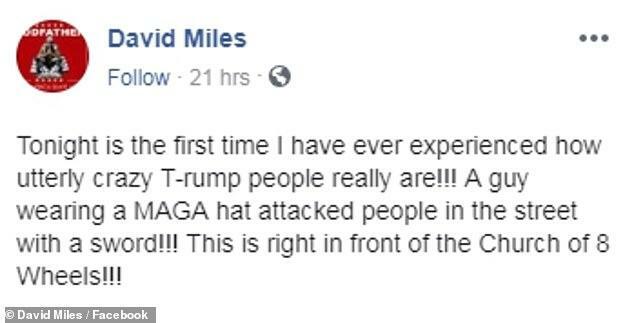 According to NBC, Trump supporters have been targeted because of their MAGA hats in Kentucky, Oklahoma, Florida and Arizona. We would add Massachusetts, California (more than once) and Texas to the list.